Children’s drawings are a window into a world of animals, monsters, and countless other imaginary creations they wished exist, but only have access to crayons to realize their dreams. 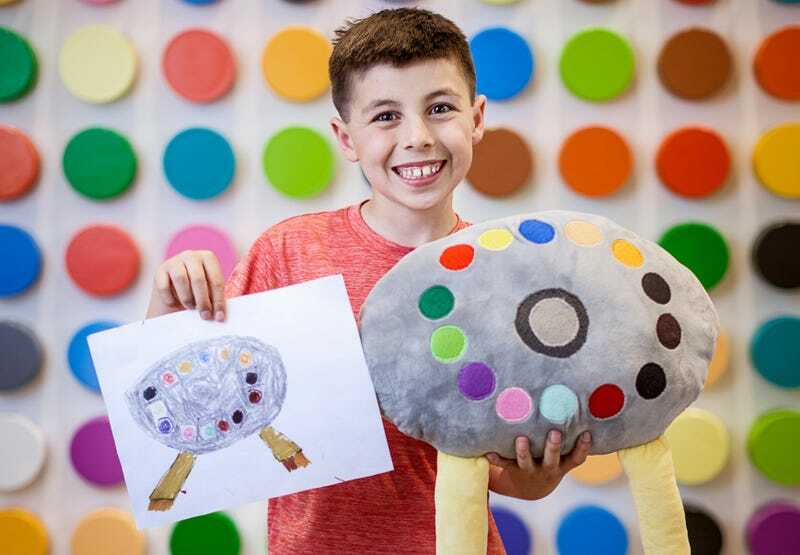 Crayola wants to help, and is introducing a new service today that will convert a child’s crude drawing into a detailed stuffed animal or plush toy. Using the Crayola Imaginables service is as easy as taking a digital photo of (or scanning) your child’s artwork, uploading, emailing, or texting it to the Imaginables website, and then trying to keep your kid calm and patient while they wait four weeks for the plush version of their doodles to arrive. Because kids don’t know the first thing about toy design, and their artistic skills are crude at best, the Crayola Imaginables service uses a team of professional designers and seamstresses to ensure the results look as close to the original drawing as possible, while improving its overall shape, colors, and appearance. Pricing for each creation is a flat rate of $99 for a 16-inch plush toy, no matter how detailed or colorful a child’s drawing might be. Presumably the toy designers will leave out some details if they can’t be feasibly recreated in plush—bazookas, flamethrowers, and other kid-popular pyrotechnics come to mind. And the service will probably reject drawings featuring profanity, NSFW sketches, or copyrighted material. For the first 30 days the Crayola Imaginables service will actually be priced at $89 to help entice people to try it out. If you’re not completely satisfied with the results, you can order a second attempt at your kid’s artwork for an additional $40, but after that they’ll have to learn to live with the results, which might encourage them to learn to be better drawers.